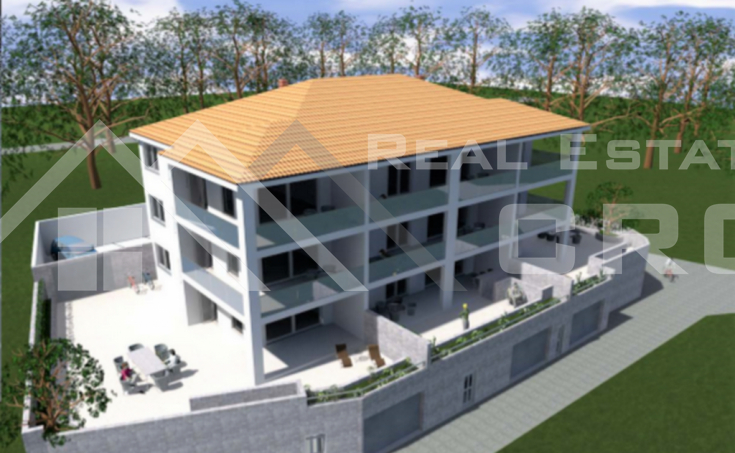 Eight apartments under construction in an extraordinary location on Brac Island for sale. The building has the basement and three floors. Each floor has three comfortable apartments. All the apartments have the exit to loggia and nice view over the sea. The ground-floor apartments (apartments 1,2 and 3) also have the belonging part of the yard and garage that is situated in the basement area on the northern side of the building. The apartments on the first and second floor (apartments 4,5,6,7,8 and 9) have storage rooms that are placed in the basements area on the northern side of the building and two parking spaces on the southern side of the parcel. All the apartments, except the apartment 8, are two-bedroom apartments and comprise hall, two bedrooms, two bathrooms and open concept kitchen, dining room and living room. The apartment 8 has three bedrooms and stretches over two floors – second floor and gallery. 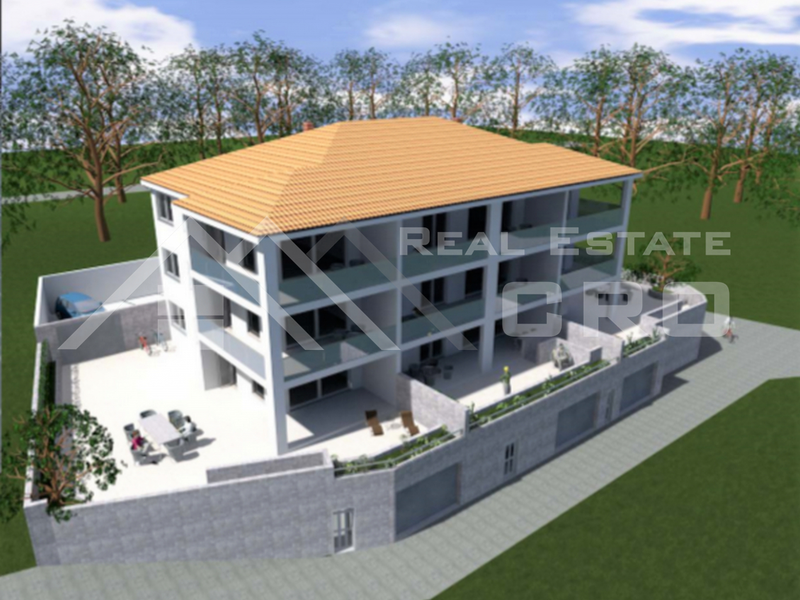 On the second floor there are hall, two bedrooms, bathroom and toilet; and the gallery comprises additional bedroom, bathroom, living room and wardrobe area. The property is situated in very peaceful and nice surroundings. The distance from the sea and beautiful beach is app. 120 m.
The object is in roh-bau phase which is a kind of advantage, as the buyer can still make decisions regarding the furnishings by choosing the materials (ceramics, floors, bathroom fittings and furniture) on their own. Only the highest quality materials and technologies are being used in the construction. The apartments are going to be completely air-conditioned and equipped with PVC joinery and remote controlled blinds. They will also have the security and fire-resistant doors on the entrance. The end of construction is planned for the end of 2019.